was known at Radley always with the initials of T. B. On leaving, he entered Sandhurst, and passed into the 3rd Hussars.In April last he was transferred to the Royal Scots Fusiliers, and was wounded a month later. He went out again on Sept. 12, and was killed on the 27th. 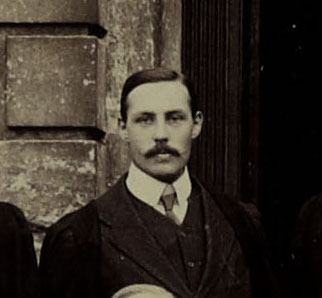 After a distinguished career at Eton and Cambridge, where he rowed in the fine eight of 1903, J. S. Carter came to Radley as a master. and was here for five years, leaving at the end of the Summer term, 1909. He took up work at Warren Hill, and, just before the war, had taken a private school at Cromer in partnership with Mr. Hales. After the latter’s death, Mr. Carter carried on till Easter 1917, when he decided that he too would go out to the front, for he had always been a keen Territorial. 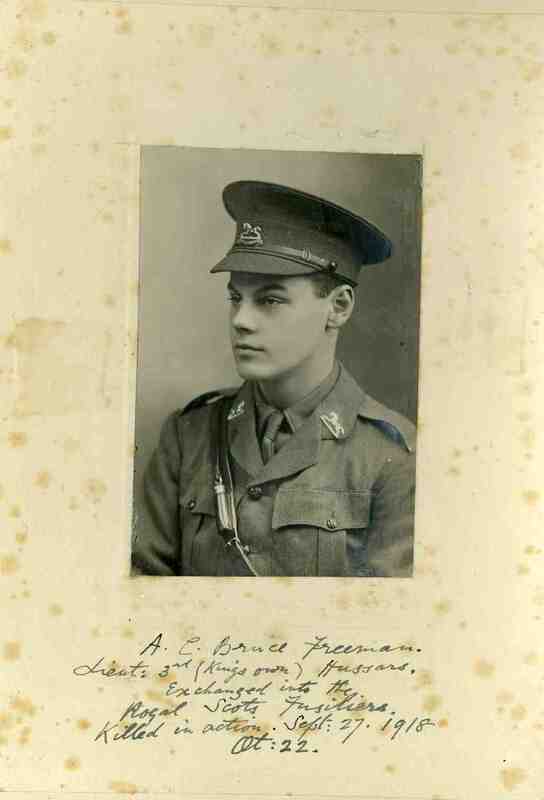 He took a commission in the Grenadier Guards, and went to France early this year. In August he was made Acting Captain, and was killed on Sept. 27th. I should think it is quite true to say that Jim never had an enemy: for he was one of those genial large-hearted giants, with whom it was impossible to feel anger, and who was popular with everyone. Naturally when he was here he associated himself with the river, and he coached the crew of 1909: but his interests were wide and varied. He had stayed some months in Athens, and he took a keen interest in archaeology, while he was more than an enthusiastic entomologist. Many a night have I been out” sugaring” with him, and he was always ready to lend a helping hand to anyone who was keen on that subject. He was a first class skater, and competed two or three times for the “Open Bowl” at Davos, while at Leuzerheide he was deservedly the most popular man in the place. It was only this time last year that he came down to Radley to sing in a concert, and perform in the “Radley Quartette,” which for five years enjoyed some popularity while he was here. It is hard to realize that poor old Jim is gone too, like, Sammy Hales and Lance Vidal. Truly Radley has had some cruel losses, but the loss of these three leaves a sorrow that will never fade away. In his last letter, only three weeks’ ago, he wrote, ” I would not miss this for anything. The men are simply splendid, and it is a real privilege to be with them. Keep the home fires burning and some day I shall be sitting by your fireside, with a pipe, boring you stiff with what we did in the great war.” And now he has joined all those other heroes, but he still lives enshrined. in the hearts of many devoted and sorrowing friends. He left school in 1912 and went straight to Sandhurst. He served initially with the Royal Fusiliers from 1914, then joined the Grenadier Guards. Posted in Commemorating the Fallen of WW1 and tagged Battle of Canal du Nord, Captain, career serviceman, D Social, Flanders & France (Western Front), Lieutenant, Sandhurst, Schoolmaster on 27 September, 2018 by archives602.